Workforce Management software helps organizations plan, manage, and track employee work, including labor requirements, employee schedules, and paid time off (PTO). Workforce management platforms offer a variety of features that enable users to optimize workforce efforts. Companies use workforce management software to forecast labor demand, create and assign employee schedules, track attendance, and report on workforce efficiency. 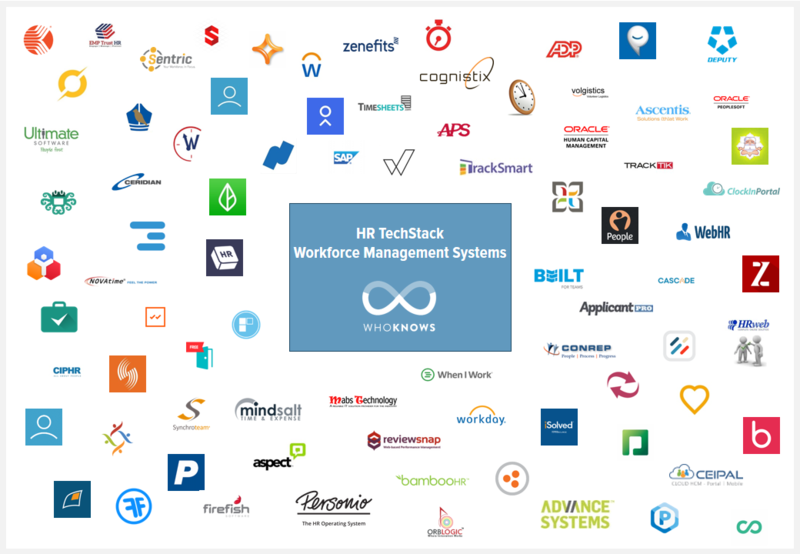 There are hundreds of software & cloud based apps for modern workforce, at WhoKnows we have handpicked 83 most popular, widely used & recognized vendors in the market. Dayforce HCM is Ceridian’s award-winning human capital management (HCM) solution – a single, real-time, cloud-based platform that is both easy to use and highly configurable. With one employee record, one user experience and zero interfaces, organizations can streamline the full scope of their HCM processes into one easy-to-use application. Deep, real-time visibility into every function helps maximize the efficiency of HCM operations while increasing employee engagement, productivity and profitability. Dayforce HCM is a scalable solution designed to grow along with your business. BambooHR is Software-as-a-Service (SaaS) company providing online HR Software for small and medium businesses that have outgrown spreadsheets. BambooHR’s cloud-based system is an intuitive, affordable way for growing companies to track and manage essential employee information in a personalized Human Resources Information System (HRIS). Now HR managers have more time for meaningful work, executives get accurate, timely reports and employees can self-service their time off, using a convenient mobile app. 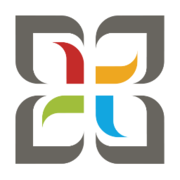 BambooHR’s clients include innovators like Fitbit, Fab, FreshBooks, Klout, and Squarespace. Humanity enables your business to build flexible staff schedules, capture and track timesheets, and pay your employees. Increase workforce productivity and engagement by generating conflict-free work schedules and time clocks that can be managed on both Web and Mobile devices. Communicate with your workforce through your choice of email, SMS, or App Notifications to ensure your staff always has the most up-to-date information. Integrate your schedule and time clock data with your Payroll provider to save time and reduce errors. 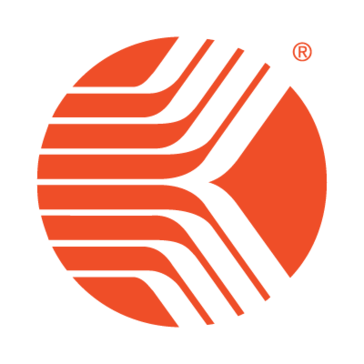 Kronos Workforce Ready® provides businesses a full suite of seamlessly integrated applications for recruiting, onboarding, time and attendance, scheduling, absence management, payroll, and more, that are easily accessed through an intuitive user interface. Our cloud-based solution is built for your budget and can grow with you as your business grows. And it’s all in one platform, with one employee record and one simple user interface. 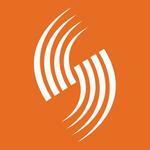 Kronos is a global provider of workforce management and human capital management cloud solutions. Kronos industry-specific workforce solutions are built purposefully for businesses, healthcare providers, educational institutions, and government agencies of all sizes. Cultivating a workforce that can truly transform your business requires your attention to strategy, employee engagement, and bringing new insights to the table. With ADP Vantage HCM®, you’ll get easy-to-use technology and expert guidance that helps you focus on your vision while simplifying administration, managing costs, and minimizing risk – which translates into big wins for you and your organization. Zenefits is committed to making entrepreneurship easier and more accessible for everyone. By using technology to unify HR process, we help eliminate thousands of hours of paperwork, enabling small business people to focus on less tedious tasks, and more on what matters most – running and growing their business. Seamlessly connect all your HR apps – benefits, HR management, payroll, time and attendance, onboarding, compliance and more – in one place. Shiftboard is optimized for scheduling an hourly workforce with complex scheduling rules. It provides optimized scheduling to reduce labor costs and ensure compliance, enables real-time worker communication to better engage workers so there are fewer missed shifts, and better labor forecasting to ensure you create the best schedule to meet your business needs. It is a powerful tool for managing labor costs, optimizing schedules, responding to change and keeping your workforce engaged. Use When I Work to schedule, track time and communicate with your employees. Create and manage employee schedules and track time and attendance from your iPhone, Android, Tablet or computer. Take the time and headaches out of employee scheduling and attendance. When I Work is a shift scheduler and time clock app that uses text messaging, email, push notifications, and the web to communicate, alert, and notify your staff about the work schedule. When I Work also makes it easy for your employees to clock in and out of their shifts and gives you the ability to quickly and conveniently track payroll hours and prepare data for payroll processing. Take care of your most important asset – your Human Resource. 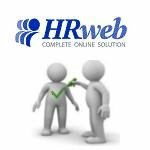 WebHR is the first true Social HR Software to connect & engage your employees. First HR Software to introduce AI into HR: Payroll, Benefits, ATS, Time & Attendance, PTO, Employees Self Service, Performance & Goals. At Sentric, we know sometimes HR people need HR, too. While you support your company, we’ll support you with software that helps expand your coverage for compliance, benefits administration, data consolidation, talent management, payroll and attendance. We’ll strengthen how your company interacts with your people by giving you the functionality and expertise you need to do it all. And we do it best for companies with less than 1000 employees. We’ll save you time, printing costs, storage space, and best of all: your sanity. 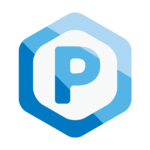 Find a package that meets your needs, or use our API to integrate your favorite applications. Or both. Paychex Flex is an all-in-one HR solution that you can build on as your business grows or changes. Use it to run payroll and integrate your HR administration, retirement, and insurance management with service the way you want it and our expert knowledge of the regulations that could affect your business. The more HR functions you bring to Paychex Flex, the more accuracy and efficiency you’ll gain. 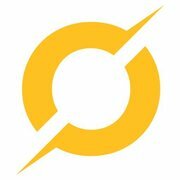 Cognistix is a workforce management platform that handles staff planning, scheduling, field data collection and reporting for manufacturers, retailers, brands and merchandising service organizations (MSOs). The system can automate labor scheduling, improves retail execution and enhances field data collection for merchandising and experiential marketing. Calamari makes people management easier. It allows you to plan and track all types of vacation, time off and sickness leave. Now you can track your attendance with ibeacons and mobile apps. 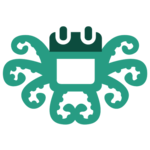 Calamari supports companies with offices based in multiple countries/locations and supports role based security. We are integrated with project management tools like JIRA, Slack, Office 365, Toggl, G Suite, Basecamp, Asana. CakeHR is the ideal choice for start-ups and established small-to-medium businesses that don’t want to get bogged down in using spread sheets or paper to manage their employees’ time off. CakeHR automates every step of the procedure, from requesting time off, to the manager’s approval, to recording the time off on the shared company calendar, and updating individual employees’ entitlements and accruals. This time, you really can have your Cake and use it too! Manages an organization’s human capital; employees and contingent workers through the hire-to-retire process. 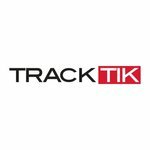 TrackTik is an intuitive security workforce management platform providing actionable insight through integrated field operation and back office solutions. 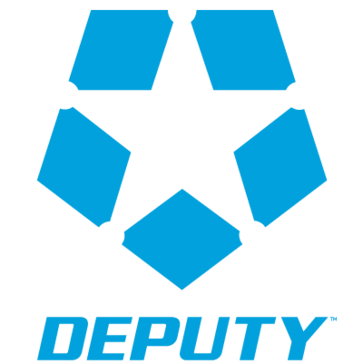 This powerful mobile and web based software connects field personnel to management and clients through a suite of unsurpassed guard management tools, powerful business intelligence modules, and automated financial management solutions. Web-based application that allows you and your employees access your timesheets and expenses from anywhere in the world through an intuitive, easy-to-use interface. All you need is an Internet connection to track time and expenses, monitor projects in real-time, and manage and approve timesheets and expense reports. Monitor your costs, budgets, view project profitability, and bill your customers with ease. There is no software to install and no server to manage – saving you time and money. With PeopleStreme’s Workforce Planning, you can make educated, long term strategic decisions and plan for the future. 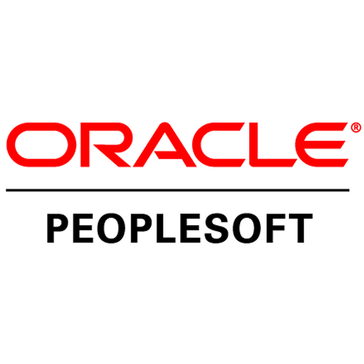 PeopleMatter is cloud-based talent and workforce management software built to help service-industry business increase profitability through efficient hiring, consistent training and optimized scheduling. 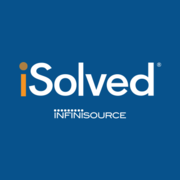 TimeForce is a time tracking solution developed by Qqest, acquired and now supported by Infinisource (2012). It is presently used as the basis of the time & attendance module in Infinisource’s flagship Human Resource Management System (HRMS): iSolved. With cloud-based time tracking, managers can monitor employee attendance and status in real-time. By tracking time and attendance with Timesheets.com, employers always know who is on the clock, who is late, and even what their employees are working on. Employee management can be done from anywhere. Employers can monitor employee attendance and manage the payroll process from any location, whether that be behind the office door or from a business meeting across the country. Additionally, employees can view their own hours at their convenience without bugging the manager to dig up records. Timesheets.com gives employees a place to record their hourly time online with real-time ‘clocking-in’. Save time and money – and gain peace of mind – with ADP Workforce Now, the easy-to-use and complete human capital management solution for companies with more than 50 employees. Built from the ground up with a single database, the fully integrated ADP Workforce Now suite features Human Resources, Payroll, Benefits, Talent Management, Time & Labor Management and HR Analytics capabilities. From rock-solid payroll to proactive compliance to managing employees across borders, ADP Workforce Now frees you from mundane tasks so you can focus on your people and drive business results. 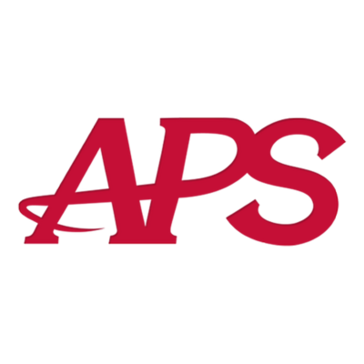 Plus, Workforce Now integrates simply and securely with other best-of-breed HR and business applications through convenient APIs and the ADP Marketplace. Findmyshift is an online solution for managing your organization’s workforce. Focused on employee scheduling, Findmyshift also includes time-clocking, timesheets, shift reminders, real-time reporting, payroll calculation, time-off management, text messaging and a staff notice board for sharing information and documents. Findmyshift has been helping organizations for more than 10 years and has facilitated more than 20 million shifts. Trakstar lets its users measure the progress of their activities and goals, aligning productivity with company objectives. The app can be used by both employee as well as manager to add their own goals to appraisals. These progress towards completing these goals can be measured by tracking “measurements”. These measurements mean progress can be seen in percentage of completion and time to deadline. further features include email reminders and note leaving capabilities on appraisal documents. Branch Messenger is a self-service workforce management solution for hourly employees in retail, restaurant, hospitality, fitness, banking, transportation and call center workforces. The native mobile apps for iOS and Android allow employees to manage their schedules, time off, and track their earnings, and enables communication between managers and teams. OnTheClock.com is a cloud-based employee time clock app which enables users to schedule employee shifts, automatically calculated hours worked and tracks time off, and supports multiple different clock-in options. Employees can punch in from their workstation computers through the OnTheClock.com website, using the native iOS and Android mobile apps, or group punch stations can be created using wall-mounted tablets. Fingerprint scanners can be used with the system, ensuring employees are present when punched in and preventing ‘buddy punching’. OnTheClock.com also gives users the ability to monitor or control the GPS locations and IP addresses employees can punch in and out from if they are using the mobile apps. 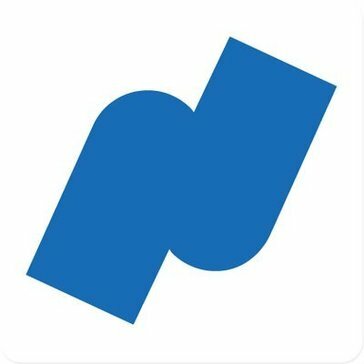 Our mobile friendly Applicant Tracking System helps you to write and save your job ads, post it to 5,000+ job boards, including Indeed.com, SimplyHired.com, and other free and paid job boards and social media sites like Twitter, Facebook, and LinkedIn. You get a customized, branded career site, online application, and a user friendly back end system that allows you to disqualify those that don’t meet your basic qualifications, rank and hightlight top candidates, share those with hiring managers, send email correspondence, and tons more. People HRM solution helps HR and admin staff save time by automating repetitive processes using custom defined rules and workflows. The advanced user permission feature allows HR professionals to assign different access levels to different people within the organization and to generate graphical reports. Other capabilities of the solution include multi-currency account management, employee expense capturing, questionnaire building, talent pool management and custom report generation. With TrackSmart, we created the next generation of employee attendance tracking as a cloud-based solution for managers, owners and HR pros to access anytime and anywhere. Small businesses use the online application to track employee attendance, generate weekly time sheets and approve employee time off requests. Avoid administrative nightmares and ensure accurate attendance records with TrackSmart. Humanity (ShiftPlanning) allows employers to manage their staff more easily than ever before with its robust employee scheduling and workforce management software. If you’re still using spreadsheets or pen and paper to schedule your employees’ shifts, you’re wasting precious time that could be spent on leading and inspiring your team instead of micromanaging it. The cloud-based Humanity (ShiftPlanning) software is available to both employers and employees at all times either via web browser, tablet or smartphone. It’s perfect for service industries like restaurants and retail but can be applied to just about any vertical. Humanity (ShiftPlanning) is as popular with small businesses as it is with large corporations and can be customized to fit the needs of any organization. Reviewsnap is a web-based performance management solution that allows HR personnel or business owners to streamline your evaluation process. It provides an enterprise-level performance management functionality for small to enterprise level businesses at a highly affordable price as a cloud-based Saas product. The user interface is powerful, yet very simple & intuitive. Implementing Reviewsnap throughout your organization is very easy. OpenSimSim is a free employee scheduling solution for managers and employees within the restaurant, hospitality and retail industries. The platform was designed for businesses that have hourly workers with scheduling/rostering needs, and helps promote open and timely communication between workers and managers. OpenSimSim enables users to create a weekly schedule in minutes using schedule templates. Staff availability and hours worked are displayed in one place, helping managers to avoid scheduling conflicts, or accidental overtime. The budget view allows users to keep labour costs in line with the organization’s budget. Employees receive published schedules directly to their mobile devices in real time. Workday Human Capital Management includes a number of HR features including organization management, talent and performance management, and Workday Absence Management, which allows you to manage time-off and absence policies across global offices. Workday also offers a range of recruiting tools to help set up career sites that are compatible with mobile devices and integrated to social media platforms such as LinkedIn. You can use the software to manage and analyze benefit plans, costs, eligibility rules and more. The Cloud Connect features allows you to connect Workday with 3rd party benefit providers. ClockIn Portal is a cloud-based timeclock that allows employees to clock in and out from any computer or smart phone. View employee’s start and end work times. ClockIn Portal’s online Time Clock displays the accurate time in hours, minutes, and seconds. With just a click of a button, employees can indicate whether they are on or off the clock. Managers love the easy to use interface, robust features, and payroll reports. Managers can view, sort, and search data in employee time sheets. Easily view clock-in and clock-out times to track attendance and absences. Time off and vacation accruals can be easily managed with ClockIn Portal. Managers can also generate employee payroll reports and view a detailed list of these reports. 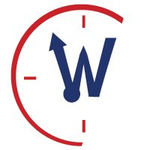 WorkPuls is Automatic Time Tracking and Employee Monitoring software with Screenshots, Payroll and Productivity analysis. It allows managers and business owners to see which apps and websites employees use while working on their tasks/projects. 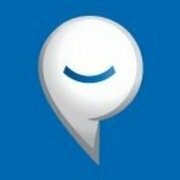 All kind of companies can use WorkPuls and it is also well suited for Remote Staff. Volgistics is a web-based software with a user-friendly interface that manages past, current and future volunteers and coordinators. Users can assign and track roles within many types of organizations from small local animal shelters to large international services. Coordinators and supervisors can be assigned to one or multiple tasks and then provided with information about assigned volunteers and their schedules. Automatic alerts are sent when schedules are changed and users can communicate with volunteers using various channels, including messaging through the volunteer portal. Bizimply is an employee management solution for the service industry that links time and attendance, scheduling, HR and payroll processing in a single solution. The system serves both single and multi-store operators with dynamic workforces, including restaurants, bars, retailers, hotels, salons, bars, and more. Bizimply is an all in one solution with drag and drop scheduling that provides cost prediction at a glance. Managers can access a live feed to see who which employees are clocked in, and which are running late. Clock in times are added to timecards automatically, and checked against schedules and company rules. Image capture prevents buddy punching by enabling employees to snap a photo as they clock in or out. It allows recruitment agencies to attract candidates at a lower cost with improved SEO and social media marketing; to engage with existing candidates through job alerts and email marketing; and to take them right through to placement with an intuitive applicant tracking system. 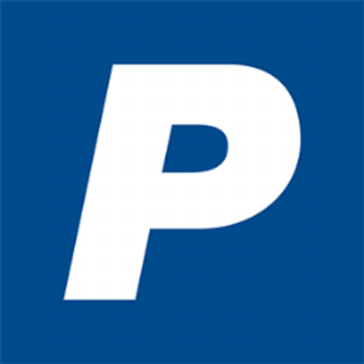 Connecteam is a cloud-based software service that simplifies the process for developing and tracking business applications. Designed to target desk-less deployment and anywhere accessibility across mobile devices, Connecteam apps can be fully rebranded to match existing corporate identity while intuitively restyled from a range of designs. The simplified step-by-step approach starts with a template selection before color schemes can be changed, text added and logos applied all with instant previewing. Created apps can then be distributed among users, supporting a broad range of tasks and processes thanks to a broad features list. Synerion provides a complete workforce management solution for companies of all sizes. 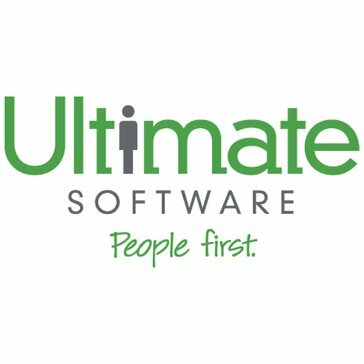 The software offers time & attendance, scheduling, absence management, labor costing, mobile, biometrics, time-sheets as well as core HR features. Synerion can be deployed on-premises or in the cloud (SaaS) and is accessible via a web-based platform, on-site terminals and native mobile apps. The software integrates with over 100 different systems. Synerion’s self-service module enables employees to request time off, clock in & out, make changes to their employee profile, view schedules, request shift swaps and more. Synerion distills large amounts of data to provide managers with actionable data when they need it, highlighting items for attention and immediate action. Shortlist is a SaaS offering for the Gig Economy. Shortlist helps companies find and manage their complete external workforce (freelancers, contractors and vendors) by providing a single platform to source, on-board, manage, review/rate and pay them. 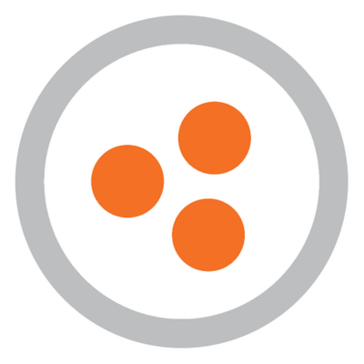 Shortlist.co is comprised of three components: Shortlist Platform, Discovery Network, Shortlist Services. Fast Online Workforce Management Software for Clear Staff Rota and Efficient Communication between Staff, Management and Clients. Ascentis specializes in powerful but easy-to-use, full-suite HCM software for mid-market, U.S.-based businesses in every industry. Ascentis solutions include applicant tracking and onboarding, benefits management, electronic carrier connection, self-service, compliance management, robust reporting, talent management (learning and performance), benchmarking, payroll, time and attendance and timeclocks. 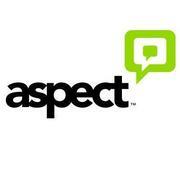 Ascentis product flexibility means you can use one, some or all of our solutions. Based on their SuccessFactors Business Execution (BizX) Software, SAP have created the Perform and Reward integrated cloud platform to help businesses with less than 500 employees automate and simplify daily administrative processes. Perform and Reward is designed for small business, their managers, executives and human resources professionals, enabling them to better monitor and reward employee performance. The apps key features help to define goals, provide incentives, and reward achievements. Perform and Reward helps to create a pay-for-performance compensation culture that recognizes and rewards top performing staff. Unlike talent management and human capital management vendors, SuccessFactors offers more than process efficiency and transactional cost savings. Both enterprise-class and small to midsize businesses can use our full suite of talent solutions, core HR, collaboration, and workforce analytics to improve productivity and engage, retain, and motivate employees. And as a SAP company with world-class technology under the hood, SuccessFactors is positioned to provide end-to-end integrated business solutions that address the biggest business challenges companies face. Synchroteam is a SaaS multi-featured mobile field service solution that helps all kind of businesses to efficiently manage their mobile work force, simplify their processes and optimize their costs per revenue. Synchroteam successfully manage of all types of maintenance for your business: preventive, inspection and breakdowns. 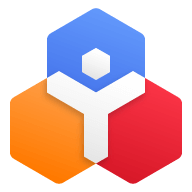 Synchroteam also offers invoicing and resources management functions, which means the whole field service lifespan can be managed from within the app. It also offers cloud-based SaaS integrations with popular apps such as Quickbooks Online, Xero. Cronforce is designed for freelancers, small to medium-sized businesses and large enterprises comprised of smaller departments. It is ideal for organizations in any industry looking to track time, timeoffs, budgets and resources in order to remain productive and profitable. The cloud-based software is valuable for finance managers, HR managers, project managers and decision makers. Comprised of modules and dashboards, Cronforce has powerful analytics tools to turn work data into understandable graphics. It tracks time and automates business processes to help manage time, budgets and resources. Float is the visual team planner for today’s modern teams. It helps you keep track of who’s working on what and when. Ready to ditch the spreadsheets? Reduce the resource planning chaos with Float. Thousands of companies around the world use team scheduling systems that don’t satisfy their needs. While some are using nothing more sophisticated than a spreadsheet many others are using bloated, clunky or expensive solutions – frequently leading to inefficiency and frustration. Resource Guru provides a user-friendly, cloud-based alternative with an easy drag and drop interface that is leading the way to increased productivity and better collaboration online at companies including Saatchi & Saatchi, ASOS, Intel and Vodafone. 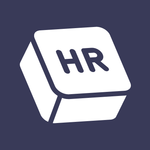 HRMatrix is a human resources management system (HRMS) designed to suit businesses of all sizes, which offers users a range of tools for employee management, time and expense tracking, time off management, collaboration, document management, project tracking, training management, attendance tracking, and many more. HRMatrix tracks a complete life cycle of employee at the organization from hiring to onboarding, employee profile data, intra-organization collaboration, employee leave management, employee expense tracking against projects and tasks, timesheet management, automatic filling of timesheets with clock-in and clock-out, centralized place for employee and company document management, employee performance management, employee training tracking, employee benefits tracking, full insight of employee data visibility with reporting, and many more. It’s a complete solution to manage your employees. EMP Trust HR is a suite of legally compliant employee onboarding and workforce management solutions. Leveraging a full range of features spanning the complete hiring process, companies can initially deploy engagement portals via the software’s onboarding wizard. Give new hires access to a rich online welcome pack detailing culture, practice, corporate policy, training and more – all customizable to location, department and job role. Go paperless with electronic employment form management and retention while assigning and tracking internal or external tasks associated with the onboarding process. Compliance is supported by Form I-9 and E-Verify services for reducing errors, meeting USCIS requirements and being subject to thorough audit report logs. 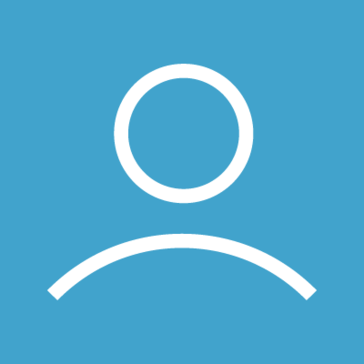 bob is a cloud-based human resources (HR) management and benefits administration platform for HR teams, CEOs, and accountants. Bob covers onboarding employee engagement, document management, automatic pension enrolment, time off management, reporting, and more. The system is designed for businesses and nonprofits with 50-500 employees. LCT Planner is combination of an online staff leave planner, cost planner and travel planner service to maintain staff leave / employee leave, Cost plan and Travel plan for any type of company. LCT Planner is a multilanguage system and is accessible worldwide from any internet connected computer. It is very easy to use and has been developed for different user roles such as Normal user, Manager, Administrator etc. It is a fully automated system that can save a lot of time and money. littlefleets offers a turnkey solution to streamline you daily business operations. From scheduling jobs, dispatching, to invoicing and getting online payments. Your team’s productivity will increase boosting your bottom line and your customer satisfaction. Accelerate your invoicing and payment process offering more options for your customers, get signatures on site and upload photos and documents to the app. CIPHR, one of the UK’s largest HR SaaS providers, serving organisations, small businesses, charities, and public sector bodies. The range of HR tools provides you with the ability to manage employees from recruitment and on-boarding, to training and development. In addition, the software provides a range of tools for employee self-service. Employees can manage their own personal information, benefits and provide training feedback. Employers and HR staff can automate training and on-boarding processes, identify development opportunities and incentivize current staff, as well as to attract new talent and track applicants. KashFlow HR is a human resources (HR) and employee management solution designed specifically for small businesses to manage teams and onboard employees. With the aim of helping businesses to manage and grow their teams without increasing the workload, KashFlow HR boasts features such as employee self service, approval process control, vacation requests, training monitoring, employee directory, permission management, and more. The employee self service allows team members to take matters into their own hands by managing their own daily administrative tasks, submitting time off requests, and accessing documents or information on aspects including payroll, contracts, and benefits. Users can access KashFlow HR on the go from any device in order to track headcounts, update accident books, view reports, access schedules, and maintain an employee directory across multiple sites. Saviom Software provides a highly customizable, end-to-end enterprise level resource management solution. Its intuitive reports, sophisticated Gantt Charts, dedicated resource request channels and real time data sensitivity ensure that you achieve more with less, project after project. Designed, owned and management by industry veterans, Saviom’s products as well as its prescribed best practices are based on years of experience. Its functionalities are built to solve practical problems faced by teams across the globe, while its principles are based on maximizing customer happiness. Personio is a secure, web-based HR solution for SMB’s to manage employee data, vacation and leave, salary, performance, recruitment, and more. 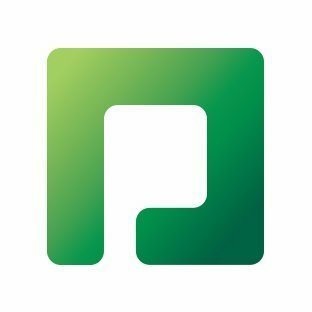 By combining features such as job posting, applicant sourcing and tracking, onboarding, time tracking, email integration and document storage, Personio aims to aid businesses with their recruitment processes and employee tracking. Collage is a cloud-based HR & benefits solution that offers small and medium businesses everything they need to run a better organization. Collage’s features include employee records managing, time off tracking, digital onboarding, applicant tracking (ATS), HR reports, and performance management, all in one, easy-to-use place. It’s free to sign up and create a test account. Developed on the industry’s leading cloud platform, FinancialForce Human Capital Management delivers one complete and integrated human capital management solution for global small and medium business. FinancialForce Human Capital Management (Formerly Vana Workforce) delivers one complete and integrated human capital management solution for global organizations form hire to retire including the core human resource system of record, benefits & compensation, absence management, performance and talent management, career and succession planning, workforce collaboration, and workforce analytics.